A total knee replacement (TKR) is a surgical procedure whereby the diseased knee joint is replaced with artificial material. 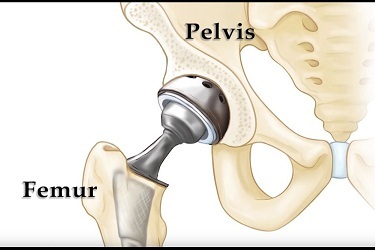 During a total knee replacement, the end of the femur bone is removed and replaced with a metal shell and the end of the lower leg bone (tibia) is also removed and replaced with a plastic piece with a metal stem. At GNH Hospital we prefer to use US FDA approved implants from Zimmer, Stryker, Smith & Nephew and J&J. Your shoulder is made up of three bones: your upper arm bone (humerus), your shoulder blade (scapula), and your collarbone (clavicle) making it a ball-and-socket joint. Shoulder replacement is a joint replacement surgery in which all or part of the shoulder joint is replaced by a prosthetic implant. This joint replacement surgery generally is conducted to relieve severe arthritis pain or fix severe physical joint damage. Although shoulder joint replacement is less common in India as compared to knee or hip replacement, it is just as successful in relieving joint pain.